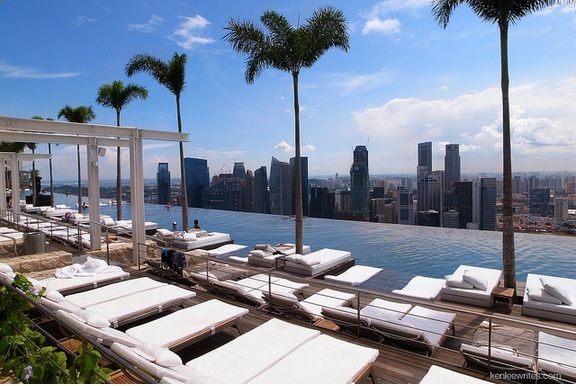 6 of the best hotel pools in the world! This tropical resort is located along Mahé Island and features a spectacular Indian Ocean view. Lush plant life wraps around this serene hotel and guests can enjoy the atmosphere and the view with poolside snacks and drinks. Visitors can take a comfortable dip any time of year at the Golden Nugget’s year-round, heated pool. The pool features 15 private cabanas that are perfect for lounging around or partying it up with friends. Two unique add-ons are a shark tank and a 3-story water slide. Guests are welcome to take advantage of the shark tours available to educate the public about sharks, as well as the inner workings of the aquarium itself. This pool is located mere steps from the pristine Chaweng beach. 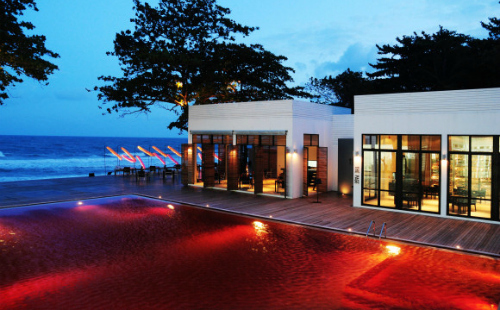 The hotel takes a sophisticated, modern and innovative new spin with their decor – water is dyed red to match the deep red, orange and yellow pool tiles. Koh Samui is one of the best islands in Thailand for the beach as well, so make sure to take a dip in both the warm ocean too. 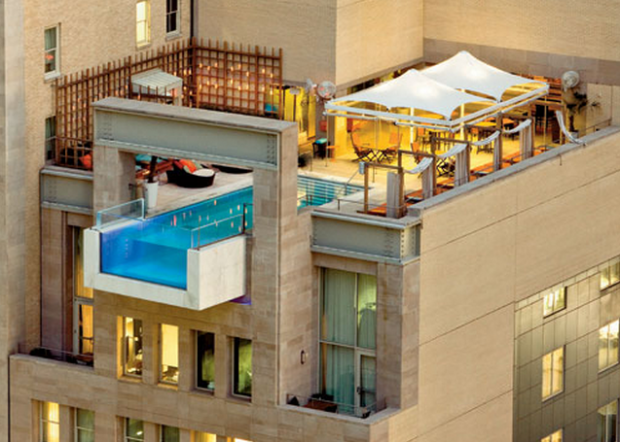 This stunning infinity pool is not for the faint of heart. It is located 57-stories high and offers daring visitors a one-of-a-kind view of the bustling city of Singapore. If swimming and sightseeing make you work up an appetite, there are two gourmet restaurants available at the Sands Skypark adjacent to the pool. Guests with a sweet tooth can indulge at The Chocolate Bar, a delicious chocolate buffet. This spot is referred to as Dallas’s first designer hotel. Alongside hip decor and neo-Gothic architecture, The Joule’s pool is designed 8 feet past the hotel, giving visitors the amazing feeling of being suspended in air while swimming. 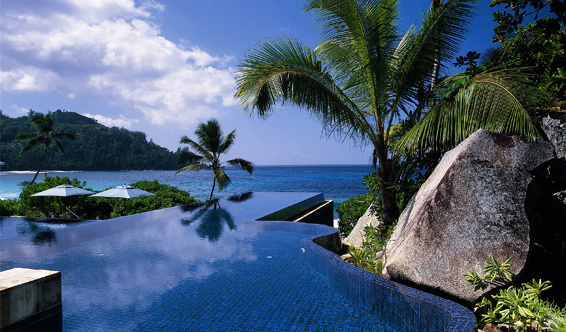 We hope you’ve enjoyed these fantastic hotel pools, now all you have to do is see them for yourself! Posted in Greece, Luxury Travel, Seychelles, Singapore, Thailand, USA and tagged with Hotel, Luxury, Pools, Seychelles, SIngapore, Thailand, USA. RSS 2.0 feed. « How to save money booking a cruise! The Library Hotel looks wonderful!